Hello and Welcome to previews for the December release for Sparkle Creations Rubber Stamps! Sparkle is releasing 2 new images tomorrow! Today we are previewing Chinese New Year Rin! She comes with two sentiments. 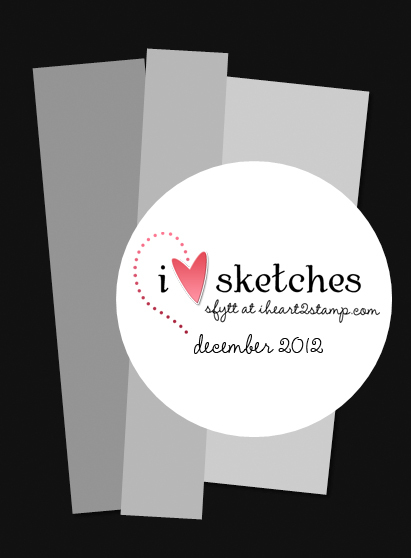 I used Jen's December Sketch For You To Try for my layout. 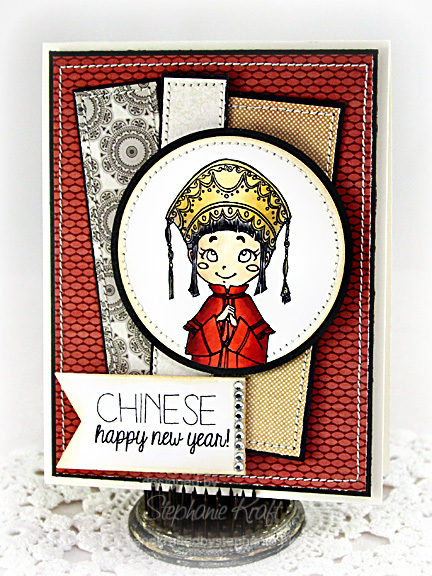 Be sure to visit all rest of the SCRS designers for more peeks of Chinese New Year Rin. Sparkle will be giving away a Chinese New Year Rin to one lucky person! For a chance to win, you need to comment on all of the designer's blogs (list below). Then head on over to the and comment on the Rin post. You have until midnight EST each day to comment. The lucky winner will be announced on Monday! Accessories: Die-namics: Circle STAX 1, 2, Fishtail Flags STAX (MFT); Markers (Copic), Rhinestones, Foam tape, Thread, Sewing machine. Just a wonderful card! So much fun! I love this stamp set!!!! And thank you for the blog hop, too! This is so super cute, I love the dp and the fabulous sketch and card design you used with her. Love your card and love the image..
What a super card! Love the papers and that image is just lovely! What a fab card with some wonderful DP's. Love how you cropped the image....very clever!